If you’re a landlord looking to sell your rental property but your tenants don’t plan on moving out, that doesn’t mean you have to wait before putting it on the market. You can either evict the tenants and sell with vacant possession, or sell the property with the tenants in situ. Selling a house with sitting tenants can be difficult, particularly if you have a poor relationship with them or the rental market is slow. In this blog post, we’ll look at the benefits of selling an inhabited property and what rights your sitting tenants have. Most landlords choose to sell their property with sitting tenants. These are renters living in a property that the owner intends to sell. If the tenant has an ongoing agreement with their original landlord, they retain the right to continue living in the rental property when it is sold. To evict tenants, a landlord needs to serve a valid Section 21 Notice under the Housing Act 1988. This can only be given once a tenancy term has ended, or if an appropriate break clause is used to end the tenancy early. Landlords must give a minimum of two months’ notice before eviction, which isn’t ideal if you’re wanting to sell your rental property quickly. Selling subject to the tenancy works the same as a regular vacant property sale, except that the rental documents will need to be transferred to the buyer’s solicitor before completion. Selling with sitting tenants can be difficult, and how easy it is for a landlord to sell often depends on their relationship with the tenants. 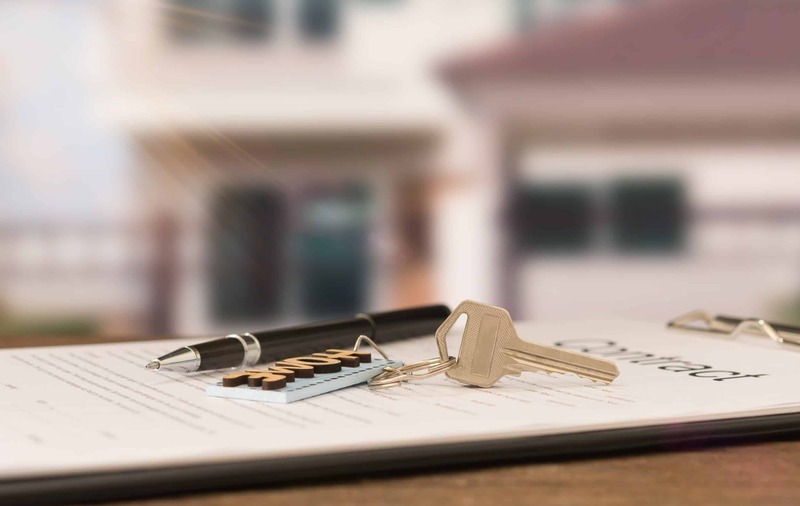 Already vetted tenants: The next landlord has the reassurance that the tenants already know how to look after the property and abide by the rental agreement. It also saves the landlord from having to look into the tenants’ payment history, occupation, references and deposit protection scheme. No set-up costs: Buying a property subject to the tenancy saves the new landlord from having to find tenants, conduct credit score checks and write up a new tenancy agreement. This is especially beneficial in areas where the rental property market is slow, or if the landlord needs to generate an income quickly. Avoid estate agents: If a landlord purchases a property with the tenants in situ, there’s no need to enlist an estate agent to advertise it on the rental market. This saves on estate agent fees, the cost of drafting up new paperwork and time spent having to find a deposit protection scheme. Reduce financial loss: Rental properties in some areas can take several months to sell, which could result in a loss of income if the property is empty for this time. By selling with sitting tenants, the current landlord is guaranteed equity until the sale completes. If your landlord intends to sell their rental property and you’re wanting to remain a tenant, you may be concerned about your rights after the sale. The fact that a landlord wants to sell does not entitle them to evict their tenants without cause. They also don’t have the right to show prospective buyers around whenever they want. Your landlord can only conduct viewings if it’s authorised in your tenancy agreement and if he’s given you notice in writing no less than 24 hours before. Even if your tenancy agreement does allow for viewings, you can refuse to show a prospective buyer around the property if it’s at an inconvenient time. Once the property is sold, the purchaser will become the new landlord. Just as your original landlord was not entitled to evict you without cause, the new landlord has no right to do so. Your existing tenancy agreement will still be valid, even though the landlord has changed. If you paid a deposit to the former landlord, arrangements will be made for those funds to be transferred to the new landlord. From the new landlord’s point of view, it’s a good idea to get new tenancy agreements written up as soon as possible after purchase. This new contract will reflect the change in ownership and any other adjustments, like tenancy length and rent amount. They should also write a formal letter to the tenants informing them of the change of landlord and giving details for the payment of rent. Selling with sitting tenants can be challenging, but if you have a good relationship with your renters and other landlords are searching for inhabited properties on the market, it can be a good way to guarantee a quick house sale. If you’re a homeowner looking to sell your property quickly, contact our experienced team at Good Move today.